Imagine you could be your own boss. Imagine you could pick the job you wanted to do. Imagine you could choose the location where you work. Imagine you could set your work hours to fit in perfectly with your lifestyle. And on top of all that, imagine you could take home more money than you ever did in any previous job? Well I’m writing this to let you know it is all possible, and it takes less than one hour to get going. Put simply…become a Contractor!!! Earlier this year I realised that my children had grown up and were, for the most part, independent. They had school and activities most days until at least 3.00pm. It got me thinking that my kids had suddenly (well it seemed sudden to me) gotten their own lives and I was now redundant for long periods of the day at home! I found myself ready (or should I say able) to go back to work…and so I set off to find gainful, but flexible employment. Attempts to re-enter the workforce were a shock to my system. It hurt to find I belong to a new category of worker called “returners” (it’s an awful name but more awful-ness was to come). My experience was many large corporates view returners as ‘reliable interns’! They were happy, eager in fact, to employ me (ah yes, I tick their diversity box) but they don’t want to pay. Apparently the joy I will feel from being given this returning chance will be payment enough! These companies like to present themselves as forward thinkers, as genuine and flexible, as workplaces of the future. They sing from the rooftops about looking after employee mental health, employee wellbeing, & work/life balance while the real fact is they (in my humble opinion) merely pay lip service to most of this. What they really want is to recruit reliable, capable bodies who will be on site from 9am to 5pm so no new precedent is being set for their other employees, and will cost them very little money. I found myself completely disillusioned with the opportunities presented to me. I started looking at minimum wage jobs (honestly) because at least they were not wrapped up to be anything other than what they were, and some even offered a certain amount of flexibility which I needed. However I couldn’t help feeling that I was worth more. I am college educated. I have accumulated a wealth of experience in Marketing, Sales and Business Development both in Ireland and the USA. I have won industry awards. It seems to me though that all of this was wiped out when I chose to stay at home and raise my children. The reality is this has only added to my skill set. I have negotiated deals worth millions of dollars in my time, but i tell no lies when I tell you those deals were easier than persuading a toddler to eat a green vegetable or negotiate with a teenager over their use of a particular computer game. Staying at home has increased my skills not diminished them, of that I am sure. What I wanted was a challenge. I was prepared to work hard. I didn’t need fresh fruit or weekly Pilates (although as it turns out I got them too!). I just needed to have some flexibility with my work hours and my location; and I wanted to be paid a wage that I thought was fair in relation to what I brought to the table. Going back to work was going horribly wrong and I felt genuinely aggrieved for the penalty I was being asked to pay for the choice I had made to raise my children. (I should point out that I continued to work on an ad-hoc basis and to keep myself relevant I completed a Diploma in Nutritional Coaching and a Post Graduate qualification in Creative Thinking, Innovation & Entrepreneurship while I was at home). I may as well have been painting my toe nails as none of this seemed to make any difference to a potential employer. Anyway back to the job hunt! So, I interviewed and interviewed and found roles that had limited or no flexibility, where the required distance to travel was too far, where the pay would have insulted a recent graduate, let alone someone of my experience. I found myself over-qualified and under-whelmed. I was just about ready to resign myself to volunteer roles (where at least I felt I would be doing something worthwhile with my time) when an opportunity came up to take a contract position as a Marketing Consultant. It didn’t take me long to realise that contracting would suit me perfectly. Right so. Decision made. I’m going to be a contractor. The problem was I hadn’t the faintest idea about how to go about it. I knew I would need a company so I could invoice my client and write-off work related expenses. I didn’t know how to go about getting a company or how long it would take Did I need insurance? What about my personal taxes and company returns? I had a brief phone call with a lovely man named Conor and he told me Contracting PLUS could set me up as a Director of an umbrella company and within the hour I could be a Bona Fide contractor. Basically. Contracting PLUS has Umbrella Companies already pre-registered. They can place you in one as a Director. It’s like having your own limited company but you don’t have to do any of the set up. It saves you time, expense and hours of administration. It is completely free to set up although there is a minimal monthly management fee (for the months you’re working!). There are no costs if you leave and no contract involved. Getting set-up was easy. I had to upload 3 pieces of information; my passport and 2 current bills for proof of address. I gave them the name of my client and my daily rate. (Seriously that’s all I had to do). They now invoice my client for me. When my client pays, they process the payment on the same day. They pay any taxes due to the Revenue Commissioners, deduct their fee (very affordable) and the balance is transferred to me on the same day. The provision for taxes means that come year end I don’t have to scramble together funds to pay a tax bill. The money that hits my account is mine to do with as I please. Better still, they do my tax return. I love this because I hate paperwork, especially that kind of useless, time consuming, ‘am I doing this right?’ type of paperwork. So I am now a fully-fledged Marketing Consultant. I get paid more than I could have expected as an employee. I choose how many hours I want to work a week and from which location. No one cares how I work as long as I get the tasks done. When the kids are gone to bed I upload my time sheets to the Contracting PLUS online portal and I input my expenses as I incur them straight into their phone App. Genuinely I have my own business (which is cool) but I don’t do any administration (even better!). Sometimes I worry about the security of contracting because back in the day when you had a full-time job you felt a certain financial security. The reality is the landscape of the workplace has changed significantly and job security is no longer a thing for anyone. Since becoming a contractor I have more work than I have time! I’ve have had approaches from companies with whom I worked in the past and business people I meet out and about are interested in engaging with me when they hear I’m a contractor; they know they can get projects done quickly and ultimately cheaper as they don’t have to take on the cost of an employee. (Trust me when I say.. “Build it and they will come”). So today I sit here in my contracting role wondering why no one told me contracting was a thing. Why had no one ever told me that it was a great alternative to full-time employment? Why did no one told me it was a great way to get paid more? But most importantly of all (for me), why did no one tell me it was the perfect answer to flexibility? 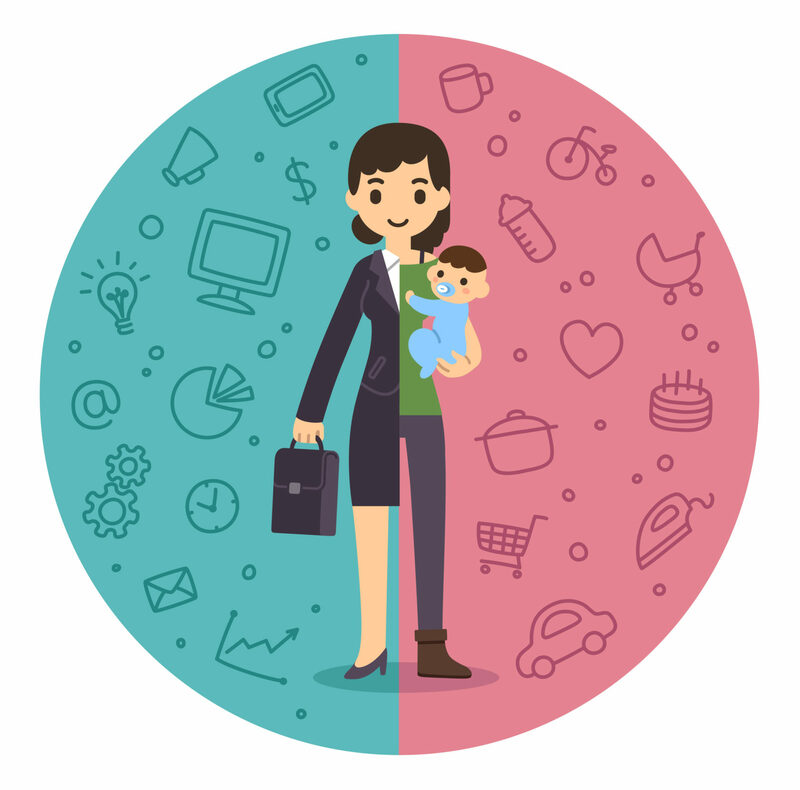 I wanted to write this article because I want to tell you, the thousands of stay-at-home-moms. I have decided that Contracting should no longer be kept a secret! Those of you who are good at what you do, do not question your worth because the job that you are looking for does not seem to be accessible to you. You have huge value! Get yourself set up as a contractor (remember it costs nothing unless you’re working). Approach companies that have a requirement for your skill-set and for work you are interested in. Pitch them the idea that you can do the job as a contractor. Then negotiate your own hours (remember to thank your children for the skill). Recognise your value and establish a daily rate that makes it worth your while going back to work. Contracting is the ultimate WIN/ WIN. We, the returning work-force have a real value. It is up to us to recognise it.